RNZB in Alexander Ekman's 'Cacti'. Photo by Ross Brown. Find out what’s happening in New Zealand Dance this month! 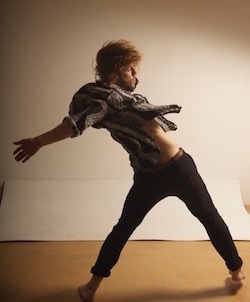 Distinguished international performer, teacher and choreographer James O’Hara has accepted a role at the New Zealand School of Dance (NZSD) as a full-time contemporary dance tutor. Originally from Western Australia, O’Hara has worked with renowned companies around the world with his recent career based largely in Europe. He began his career as a member of Ballet Junior de Genève. Recipient of a Princess Grace Foundation Bursary in 2004, he has since worked with Ballet Preljocaj (France), Mathew Lutton and Chrissie Parrott (Malthouse Theatre Melbourne) and Ross McCormack (Muscle Mouth, NZ). Dancing as a guest artist with some of the world’s leading dance companies, O’Hara has performed at some of the most prestigious venues in the world, including at the Palais Garnier with the Paris Opera Ballet, the Bolshoi Theatre in Moscow and at Sadler’s Wells Theatre in London. Since 2006, O’Hara has worked extensively with Sidi Larbi Cherkaoui in Belgium, and more recently in London with the National Youth Dance Company at Sadler’s Wells. NZSD tutor James O’Hara. Photo by Ashley de Prazer. Having previously taught at NZSD as a guest, O’Hara makes a welcome return in a full-time capacity, and it is of huge significance to the School to have on hand O’Hara’s experience of international companies and choreographic methods. The students are indeed fortunate to have access to a tutor of such international acclaim. Later this month, you can see O’Hara performing at the Auckland Arts Festival with Natalia Osipova, alongside Sergei Polunin, in choreography by Cherkaoui. 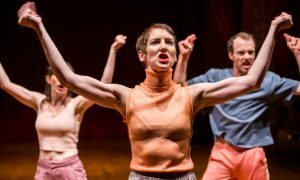 New Zealand Dance Week (NZDW) is happening this month, from April 22-30. 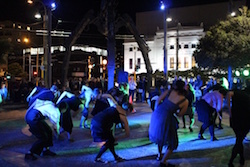 NZDW is an annual event organised by DANZ to elevate the presence of dance in New Zealand. The aim is to get New Zealand dancing and highlight the value and joy the artform can bring our society. This is an opportunity to celebrate the talents of local dancers and choreographers and for communities to be introduced and engaged in the beautiful world of dance. Whether you’re an old hand or new to the dance world, NZDW promises to be for everyone! There are many ways to get involved in NZDW, and every action counts, no matter how big or small! From opening your studio doors to the public, putting on a performance or participating in a workshop, to simply using #nzdanceweek in your social media endeavours – it’s all important in showing your support! If you need a bit of inspiration on how you can be involved, you can find out more here and then sign up to express your interest! Footnote Dance Company is in the middle of a nationwide tour of its bright, new energetic show which is playing in parks, theatres and streets across Aotearoa. The Rebel Pink provides three emerging choreographers with an opportunity to create new original work in a world conjured by New Zealand dance luminary Malia Johnston, designer extraordinaire Marcus McShane and world class drummer/musician Tom Scrase (ex-Strike). 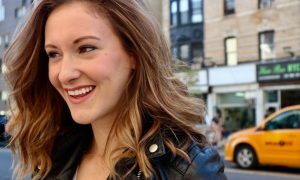 With the brand new Footnote company members as their performers, Eliza Sanders, Holly Newsome and Nancy Wijohn are bringing their unique thought processes to life. The three individual works are a colourful mosaic of ideas that explore the joys and pitfalls of human communication, and complex relationships with movement that is nuanced, lively and playful. Scrase will be providing an epic soundtrack of live and recorded music to accompany each work. The Royal New Zealand Ballet has just wrapped up a successful season of two ballets by Roland Petit: Carmen and L’Arlesienne. 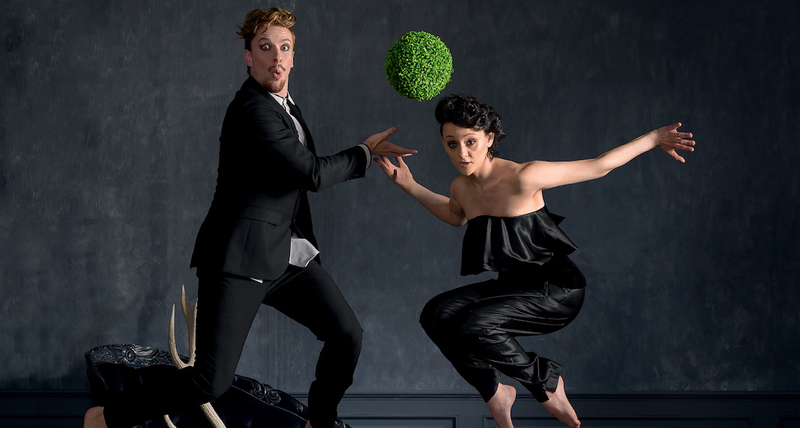 The company’s next season will be Three By Ekman, which will play in Wellington, from May 17-20. Alexander Ekman’s Cacti captivated audiences during the RNZB’s Speed of Light tour in 2016, with the New Zealand Herald hailing its “cheeky effervescence, irrepressible energy and beguiling wit”. New Zealanders now have the opportunity to see Cacti again, together with two additional works by Ekman: Tuplet, created for Cedar Lake Contemporary Ballet and premiered at the Joyce Theater, New York, in 2012; and Episode 31, made for the Senior Graduation Class at the Juilliard School and premiered in New York in 2011. The RNZB is the first company in the world to present these works together. Le Grand Petit’s ‘Sweet Mother’s Whirl’ in New Zealand Dance Week 2016 Closing Ceremony. Photo by Niki Lim. All three works showcase the hallmarks of Ekman’s style: exuberant and complex rhythms in which the dancers are at one with the music; a deep pleasure in the human interactions of dance; and witty, stylish staging. Tuplet, for just six dancers, is the most intimate of the three works, riffing off the split-second precision of contemporary ballet dancers at the top of their game. Episode 31 is larger in scale, a torrent of youthful vigour harnessing the energy of New York City. Cacti (2010) brings it all together, combining hilarious insights into the dancers’ innermost thoughts with a mesmerising musicality. Once again, the RNZB will be joined by the New Zealand String Quartet on stage for all performances. For tickets, click here.